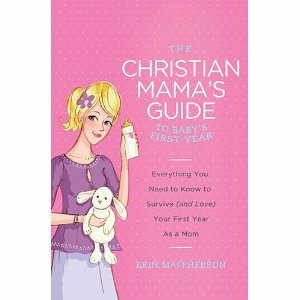 I'm highlighting some blog posts this week that I did for Erin MacPherson's Christian Mama's Guide last year. Some of you may not know but I am a real live pediatric ER RN. As always, these posts are meant to be educational and do not replace a doctor's visit if your child is ill.
Erin has a WICKED sense of humor and is releasing a series of books this spring so I hope you'll keep an eye out for them. Question: Is it really a bad idea to take a newborn out in public? What will really happen if he/she gets sick? I can remember when my youngest was born and was just a few days old when my in-laws came by to visit. My father-in-law was horribly ill with bronchitis, coughing and hacking at the doorway. I held the baby up for them to see from a distance and kindly asked them to go on their way. They could come back around when he was well. Here’s the issue: An infant less than two months (some doctors will say three months) that presents with a fever of 100.4 or greater generally gets a septic work-up. The concern is that an infant’s immune system hasn’t quite revved up yet and it can become easily overwhelmed by infection. Therefore, we approach this age infant very cautiously to prevent this from happening. A septic work-up entails gathering specimens from the most likely places that would become infected. This includes placing an IV to get blood for a blood culture and blood counts, doing a urine cath (placing a small plastic tube into the bladder) for urine and doing a spinal tap (lumbar puncture) to collect cerebrospinal fluid (CSF) which is the fluid that bathes the brain. Infants are generally admitted into the hospital for 24-48 hours at a minimum on IV antibiotics until their cultures are negative. If their cultures are positive, then they would stay longer to get a full course of antibiotics. 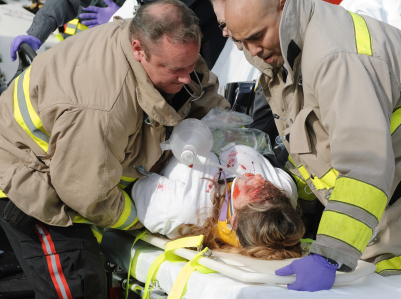 This is not always done but is your “worst case scenario” for ER management. 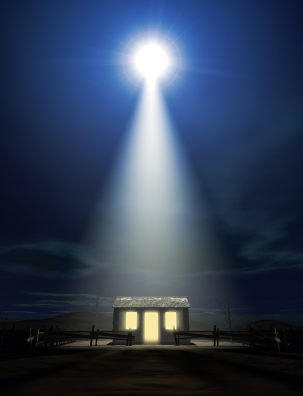 There are some situations that may alter the physician’s medical approach. One may be that we can prove the infant has another source for the fever like an ear infection or RSV (in fall and winter). We generally look for these first. If another source cannot be found, then generally, these other tests are performed. Unfortunately, a small percentage of infants do die from sepsis. This is why we are very cautious. As you can see, these are very invasive procedures and this is why I personally encourage minimal public contact when the infant is under two months. 1. Use good hand washing. Before anyone touches the baby, they should wash their hands with soap and water. If water is unavailable, then use antiseptic hand gel. 2. If you develop a cold (runny nose, cough) wear a medical mask around the infant. These can be picked up at stores that have a pharmacy. 3. Keep sick siblings away from the newborn. 4. Encourage younger siblings to kiss the baby’s feet or the back of their head. 6. Well newborns need to stay out of the ER! A common scenario is for the whole family to show up with a sick older sibling and bring the new baby. This should only happen if that’s your only option. Otherwise, keep the newborn at home with a responsible adult. There isn’t a way to fully decontaminate the ER waiting room. It’s likely the baby will pick something up during the ER visit of the other sibling. Are you ready for the New Year? Making any New Year's resolutions? I am anxious for this year. I'll be releasing two books and sending out a new book proposal. Lots of work to be done. 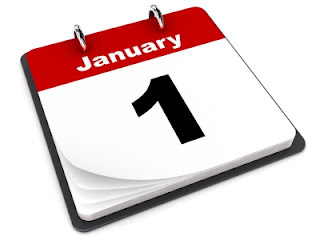 What are some of your plans for the coming year? This week, I'm highlighting some guest blogs I did over at Christian Mama's Guide for Erin MacPherson. Erin has a series of books releasing this spring that I'm excited for because she has a wicked sense of humor. Here's a previous post she did for Redwood's. Monday: ER management of the newborn with fever. Wednesday: Top three pediatric ER nursing pet peeves. Friday: Management of infant crying. Have a great New Year's Day! And remember . . . responsible drinking people. 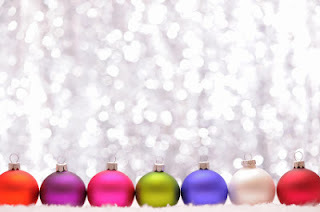 I usually take a blogging break for two weeks around Christmas and just post light, fun stuff. We'll get back to the medical mayhem after the first of the year. In the meantime, enjoy the videos and lighter posts and most of all--- have a Merry Christmas! Today, I'm participating in Dale Eldon's "The Next Big Thing" blog hop. If you're an author and would like to participate-- leave me a comment with your e-mail address and I'll link to you here. Your post must be set for Jan 3, 2013. It's simple: answer these questions about your current WIP. Peril-- book #3 of the Bloodline Trilogy. It follows Proof and Poison, the first two books in the Bloodline Trilogy. 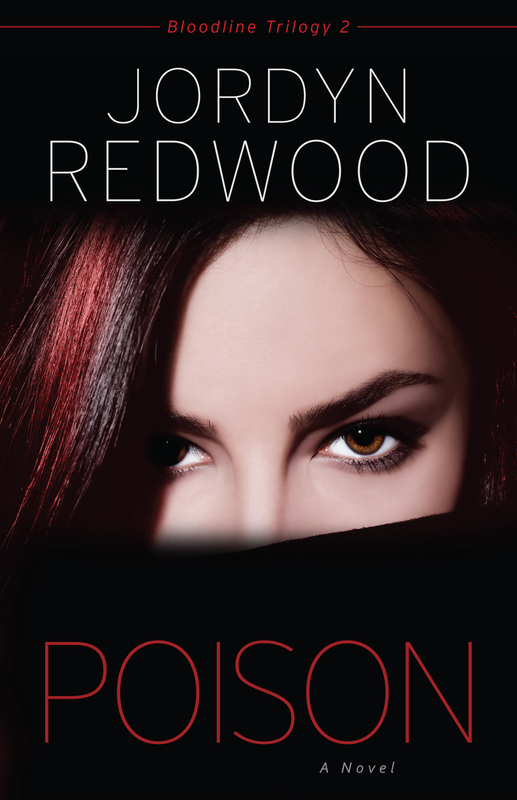 Poison releases Feb 1, 2013. I've been fascinated by the stories of transplant patients remembering things only their donor would know. Is it possible that memories can be transferred between individuals? As a medical thriller author, I like to take things in medicine that HAVE happened and then ask a question or pose an ethical dilemma. Peril will be a very controversial book. Three armed men take a pediatric ICU hostage in order to force a researcher to disclose why they are suffering horrific medical complications after they've had a neural graft placed to give them superior autobiographical memory. 5. Will our book be self-published or represented by an agency? It will be published by Kregel, October 2013. A good spooky read. 8. What else about your book might pique a reader's interest? If you LOVE tense suspense novels-- you will love this book. I like to bring readers along on a very scary ride but I also like to pose ethical questions. What do you think about life? When does it start? What differentiates us--- makes us special-- what gives us our humanness. So, along with scaring off your pants, I'd like people to consider some of these questions. Dale-- thanks so much for allowing me to participate in your parade. It's been A LOT of fun. Hope everyone has had a chance to enjoy a fun filled Christmas day with friends and family. There were only three who fulfilled the qualifying instructions so each are getting a personalized copy of Proof! I'll be contacting you over the next few days. Sinbad is one of my all time favorite comedians. I hope you enjoy his humor too. Christmas Fun: Ormie JUST wants a cookie! Over the next few days, I'm participating in the WordServe Water Cooler Christmas Blog Parade! The Water Cooler post will go live Dec 14th. If you're not coming from the Water Cooler, I hope you'll stop by and take a look at all the posts and prizes being offered. There are LOTS!! If this is your first time wandering to Redwood's Medical Edge-- it's a blog designed to help authors write medically accurate fiction. Generally, how to maim, injure and kill your FICTIONAL characters. I field writing related medical questions and blog on medical topics. I am giving away a chance to win one of three personalized copies of Proof to three people drawn at random (must live in the USA) who leaves a comment on this post that ***includes your e-mail address*** by midnight Christmas Eve. Winner announced here Christmas Day. Hmm... my writer's wish list. 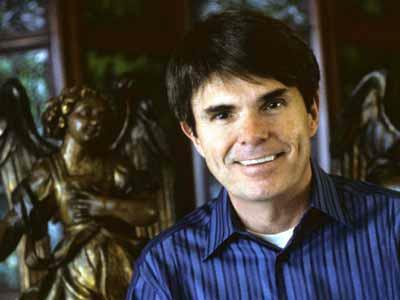 Lunch with Dean Koontz-- to say thank you. Last June, when Proof released, fellow medical author Candace Calvert posed me this question and I have been thinking about it ever since. If you were in Southern California and were lunching with Dean Koontz, what three questions would you ask him. I nearly passed out just thinking about that scenario. But more than that, I would like to thank him for writing such great stories. I can't confess to reading his entire body of works. I also don't claim to LOVE every one of his books but he is, by far, an author I have learned a lot from. An author I would like to write like. An author I love to learn from. When I'm stuck in my own writing I'll often crack open one of his books to get me going again. Okay-- I'm going to amend my wish. Dean, please write another book on writing! Please, for me. Just. For. Me. Then I thought, why stop at Dean? What writers/authors would you say "thank you" to and for what? Let me know in the comments section-- when you leave your e-mail (hint...hint). Here's a short list from me. If I could have a Castle like poker game with all these folks . . . well . . . heaven!! 1. Dean Koontz: for being a master story teller. 2. James Scott Bell/ Donald Maass: for writing such great craft books. Really, check them out. 3. 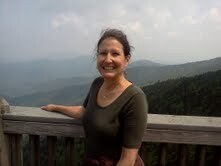 Julie Cantrell: for being the most down to earth NYT bestselling author I've ever met that I get to call friend. Oohhh, I did lunch with her! 4. Candace Calvert: for being a mentor to me. 5. 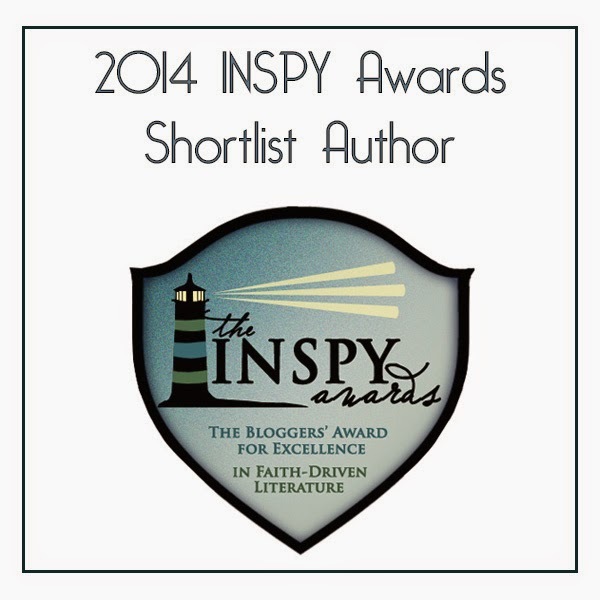 Lynette Eason: for being the first person to ever endorse one of my books. 6. Robin Cook/Michael Palmer/Harry Kraus: for writing great medical thrillers. 7. Harlen Coban/Linwood Barclay/Karin Slaughter: for writing great suspense. 8. God: for writing the best book there ever was. To all my readers-- and hopefully some new ones-- Merry Christmas!! The biggest issue here is that she will likely have to lie on her back for a while. Considering her mechanism of injury (MOI)—the big rollover accident. The EMS crew is going to be very concerned that she may have injured her neck or back and she will be put onto a spine board and C-collar. To alleviate the pressure on her back, they may then tilt the whole board to side but it's going to cause some pain to lay on that flat board until her x-rays are complete. Rib fractures are generally problematic because you don't want to take a deep breath because of the pain which can lead to pulmonary problems. Lung contusions can actually put you on a ventilator if they are extensive enough. If several ribs are broken in succession-- this is actually referred to as a flailed chest which can inhibit the patient's ability to breathe. So, I'd keep it simple with one or two rib fracture so the character mostly has to deal with the pain issue and not the lung issues. Broken leg-- which bone is broken and how bad? This would determine treatment. My 16 year old female main character is going to jump down from something (akin to jumping from a tree branch), the ground below is pitted and sloped though, and I need her to get injured. In my mind, it would be her ankle or her wrist (from catching herself) with some minor lacerations to her face. I've never broken anything to know how it feels. I want the medical scene that follows to be realistic, her Mom will meet her at the hospital, it's late at night. The thing to know about ankles is that they rarely fracture. 95% of the time, they are sprained. For a sprained ankle, an air splint (crutches if the patient can't bear weight) for 7-10 days and then the patient should work themselves out of the splint at that point. If still painful-- they should follow-up with their regular doctor or orthopedic doctor at that time. It's more likely, with your scenario of falling down a hill, for a simple break to the lower forearm. Treatment in the ER will be x-ray to evaluate for fracture, pain medication (usually Ibuprofen suffices). These would be the same initial treatments for an ankle injury as well. If fractured, the patient is placed in a splint and NOT a cast. Pt will follow-up with ortho in 7-10 days for cast placement. Cast is on for 4-6 weeks. There shouldn't be any permanent damage. Lacerations: Generally a topical numbing agent is applied. This sets in place for 20-30 minutes. Or, the patient is directly injected with Lidocaine. Wound is irrigated with normal saline. Stitched up. Antibiotic ointment over the stitches. Wound should be cleansed twice daily with mild soap and water then Neosporin or equivalent over top. Stitches to the face are usually removed in 5-7 days. Tetanus shot if the patient hasn't had one in the last five years. Are we getting into the Christmas Spirit!! I know I WILL be . . . right after I'm done with Peril (book #3!) edits. One. More. Week. Let me know what Christmas fun you are having so I can live vicariously through you and maybe you could do some Christmas shopping for me . . . not for me . . . from me for other people. 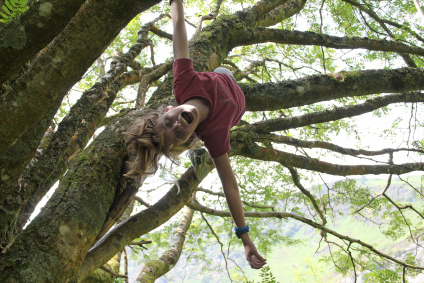 Monday: Author Question-- Jill fell out of a tree. Wednesday: Author Question: Car Accident. Friday: Wishing . . .I'll be participating in the WordServe Water Cooler Christmas parade and giving away one copy of Proof. Check back here Friday for details. Author Question: What is a Good Condition for my Character? I want my main character to have a medical condition his girlfriend is unaware of. It needs to incapacitate him and put him in a bit more jeopardy when he doesn't get his meds. I also want him to have a concussion so he black outs once or twice while he's with the bad guy. But he also needs to escape. A little earlier in the book I want him to exhibit some symptoms to his girlfriend but without revealing his condition...maybe watching what he eats, and in another scene exhibiting dizziness and weakness to a friend but claiming he's just out of shape. Then, a little later, while he is by himself working on his novel, maybe some shaking where he takes pills and readers don't know why. They may just think he's an addict. He is not obese and is in his early thirties. Which is counter to the profile for most type 2 diabetics I think. I don't think Type II diabetes is a good option considering his age and good health status. Off the top of my head-- I might consider some type of cardiomyopathy. Where he needed digoxin and lasix as maintenance meds. If he came off those-- he could definitely be symptomatic. A lot of the criteria you want would fit this type of condition. Read through these resources and see if they strike a chord. cardiomyopathy is the way to go! What is EMTALA and why should I, as an author (and maybe a healthcare consumer), care about it? EMTALA, like HIPAA, sounds like a foreign language but has large ramifications for healthcare providers. Here's a series I did on HIPAA and how it is often dealt with poorly in fiction writing. EMTALA stands for the Emergency Medical Treatment and Active Labor Act. It was passed in 1986 as part of the Omnibus legislation and is sometimes referred to as COBRA. COBRA is the legislation that dictates how you're covered by medical insurance when you change jobs. The reason behind EMTALA was to prevent patients (those covered by Medicare, Medicaid, or without insurance) from being "dumped" to other institutions because of poor reimbursement or no reimbursement on part of the patient. When refusing care (problem #1), the patients condition can deteriorate while they're trying to get to another hospital. This is overall, of course, bad. This only applies to those hospitals that receive Medicare and/or Medicaid funding which is virtually all US hospitals. If a hospital is found to have an EMTALA violation-- heavy fines can be imposed and hospitals can lose their government funding. If that were to happen, the hospital would likely have to close its doors. I thought I'd talk a little about how it relates to the emergency department. If the patient does not have an emergency, the hospital can "screen" that patient out to another facility, urgent care, or their doctor's office to be seen later. Let's look at a real life example. I work in a pediatric ER. We generally treat patients up to age 21. After that-- they need to transition to adult care. So, let's say I'm in triage and a 65 y/o male presents to the ER for treatment of an uninfected ingrown toe nail. Based on our treatment guidelines-- being a pediatric facility-- the on-duty physician can either treat or "medically screen" the patient out because though an ingrown toe nail may be painful-- it is not a medical emergency. As a result of this law-- generally a patient who collapses (maybe a patient suffering a gun shot wound is "dropped off" at the hospital) on hospital property needs to be given care. There have been instances of this on the news where someone collapsed and based on their position in relation to hospital property-- care was or was not provided. EMTALA dictates the hospital's response in these circumstances. For more on EMTALA-- you can read here. I am so honored to have JoAnn Spears back at Redwood's Medical Edge. Her posts about the ailments of long lost monarchs are hugely popular and entertaining as well. 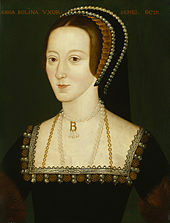 This four part Monday series focuses on Ann Boleyn and the mysterious sweating sickness that had a 70% mortality rate! Here are Part I, Part II and Part III. Part IV: The cold hard facts. Influenza has been around since at least Hippocrates’ time. It is thought of today mostly as a nuisance that can be sanitized or vaccinated away. This testifies to a short collective memory when the story of the Spanish Flu pandemic of 1918 is considered. Within 25 weeks of the beginning of the Spanish Flu pandemic, an estimated 25 million people died worldwide. When the pandemic finally ended in 1920, as many as 50 million people had died. In an era when supportive care for influenza symptoms such as fever was better understood than it was in Tudor times, the mortality rate for Spanish Flu was still around 10%. It doesn’t take much math to figure out that as many as 500 million people developed Spanish Flu between 1918 and 1920. It was an era when people knew a lot more about disease transmission than they did when Anne Boleyn retreated to Hever. As a result, many a large public gathering was cancelled for preventive purposes during the Spanish Flu pandemic, and people around the world wore surgical-type face masks when in public. These efforts were unavailing against the spread of the infection; Spanish Flu was as mysterious and maddening as Anne Boleyn herself. Many believe nowadays that Spanish Flu was an avian virus, akin to the modern H1N1 or bird flu virus which is originates in, and is spread by, infected poultry. Anne Boleyn is unlikely to have personally prepared poultry for consumption. She did, however, feast in the Tudor court where feathered fare ranging from swallows to game birds to swans were prepared by the help and consumed by ‘the quality’ with gusto. The Tudor court was also a home to falcons which were used by both men and women for hunting for sport. Anne Boleyn’s family crest actually features a falcon. Parrots and parakeets, novelty birds from the New World, were also present at the Tudor court as pets. Henry VIII himself was said to have an African Grey Parrot which could mimic calls to boatsmen on the Thames, leading more than one of them on a fool’s errand. Another tale says that when the parrot fell into the Thames on one occasion, it was recognized and rescued only because it started to scream ‘boat!’ as it fell into the river. The Sweat and the Spanish Flu do not have only a surprising causation in common. Both claimed, for the most part, a surprising set of victims. The Sweat did not prey on vulnerable folk such as the weak, the very young, and the very old. According to Caius, "They which had this sweat sore with peril of death were either men of wealth, ease or welfare, or of the poorer sort, such as were idle persons, good ale drinkers and taverne haunters." Contemporary sources also tell us that men were disproportionately affected; “mortalitie fell chieflie or rather upon men, and those of the best age as between thirtie and fortie years. Few women, nor children, nor old men died thereof". The Spanish Flu likewise claimed the least likely as its victims, with many heretofore healthy young adults succumbing. The Spanish Flu pandemic started, in fact, in an army base in Kansas, claiming the lives of robust young World War I soldiers while their physicians looked on, helpless. It is thought today that this was due to a phenomenon known as cytokine storm, a scenario in which a healthy immune system is actually a liability. If a virus such as bird flu enters the body through inhalation, the infection will center in the lungs. It is normal for the body to fight infection in the lungs with inflammatory responses that are familiar: increased circulation to the area, mucus production, coughing, fever to ‘burn out’ the infection, etc. In a cytokine storm, too much of all of these symptoms creates as much of a problem, if not more of a problem, than the infectious agent itself. Soldiers with Spanish Flu were drowned by copious blood and fluids produced by their own lungs, possibly as a result of this phenomenon. Perhaps a similar phenomenon caused the profuse, and often deadly, heat and perspiration of Tudor-era Sweat sufferers. The Sweat, and the Spanish Flu, were both maddening, mysterious forces, capable of bringing about a strong man’s downfall, and yet as elusive and as hard to contain as a bird in flight. The association with Henry VIII and Anne Boleyn, surely, is fitting. So... anyone brave Black Friday shopping? I am not a fan of crazy crowds plus I worked in the ER most of the holiday so no trampling other people for a cheap TV was in the plans--- or rescuing people from getting trampled upon. Nevertheless, I am getting into the Christmas spirit. Decorations are up-- three trees this year! You know my husband is just thrilled with that and I wonder what my future son-in-laws will think when my girls grow up and insist on multiple trees. One of ours is that we have a small, "Christmas Eve" tree. We generally open gifts Christmas morning but I got tired of the children begging to open gifts ALL day Christmas Eve so I got a smaller, fake tree to decorate and there are always two smaller presents there for them: Christmas PJ's and an ornament. How's the decorating going for you? Monday: JoAnn Spears concludes her series on Ann Boleyn and the mysterious sweating sickness. Truly a fascinating series. Wednesday: EMTALA and the writer. EM...? What? Tune in to find out. Friday: Author Question: I need a medical condition for my character!